There’s nothing like giving a gift with a personal touch that really shows you care. 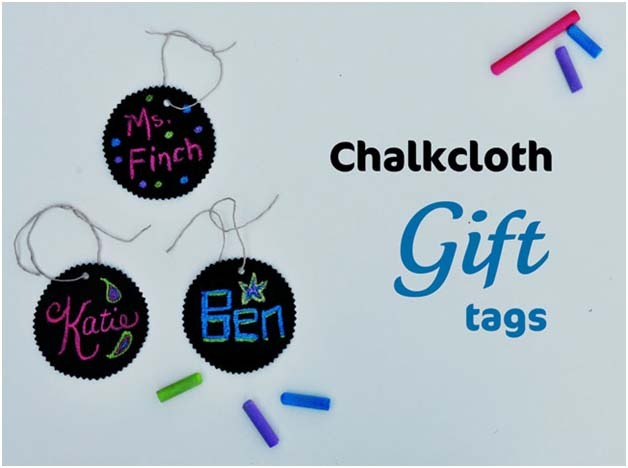 Whether it’s for Christmas, a birthday, Mother’s Day, or any other special event, you want to add something unique and handmade to your gift. 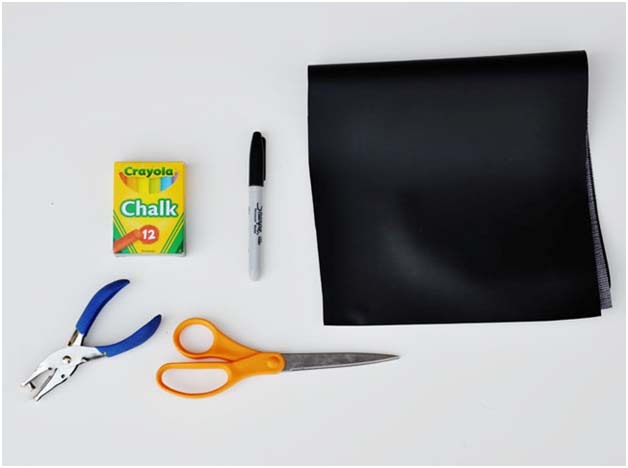 This DIY is super easy, fun, and you can do it with the kids. 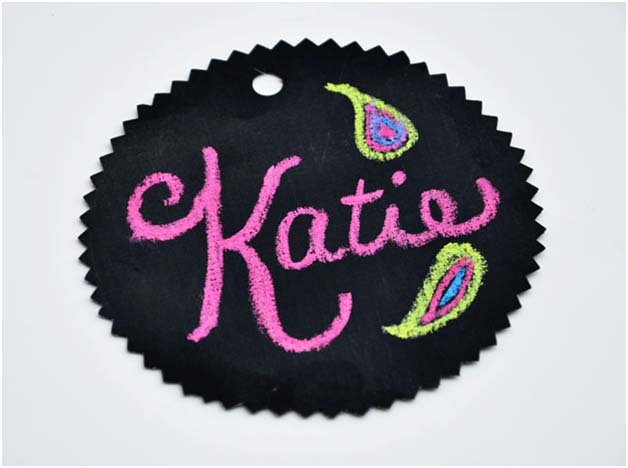 These tags can also be made into a badge or a customized necklace. 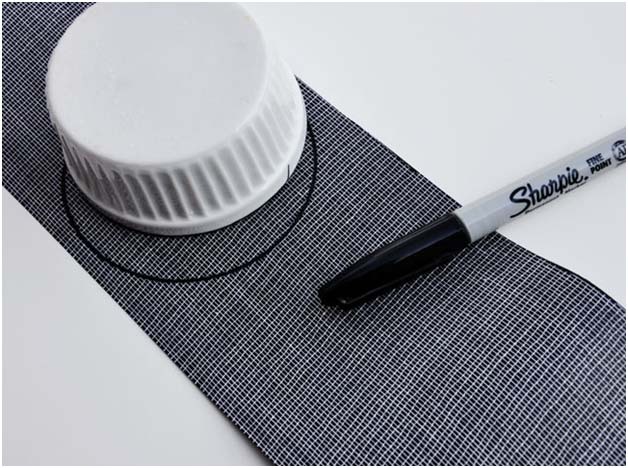 Step 1: Using any round household item (I used a ramekin), trace a circle with the sharpie onto the chalkcloth. 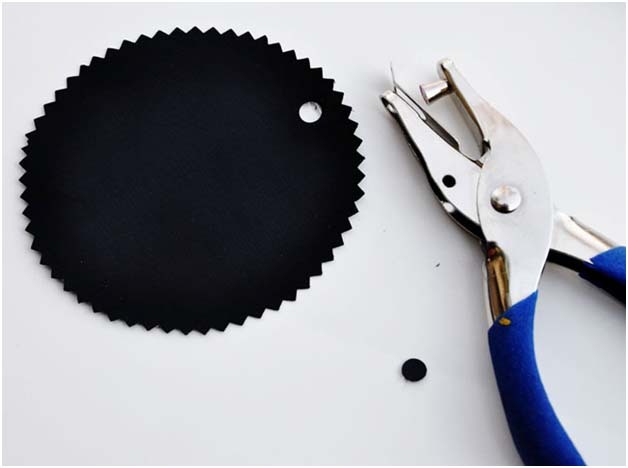 Step 2: Using your pinking shears, cut out the circle. 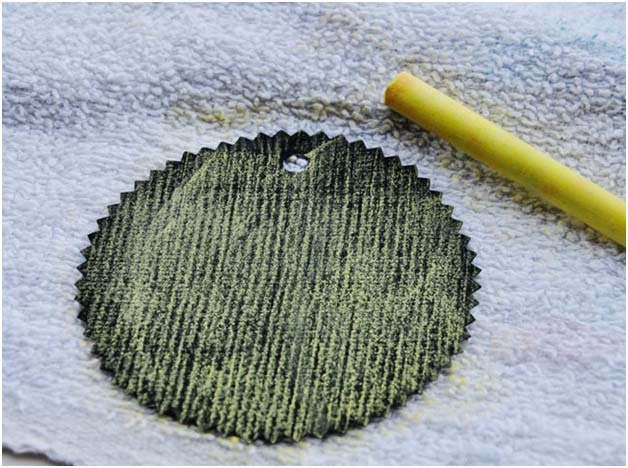 Step 4: Go over your entire piece with the chalk by scraping the entire surface with the side of the chalk. Wipe clean. Step 5: Embellish however you desire! The good news? 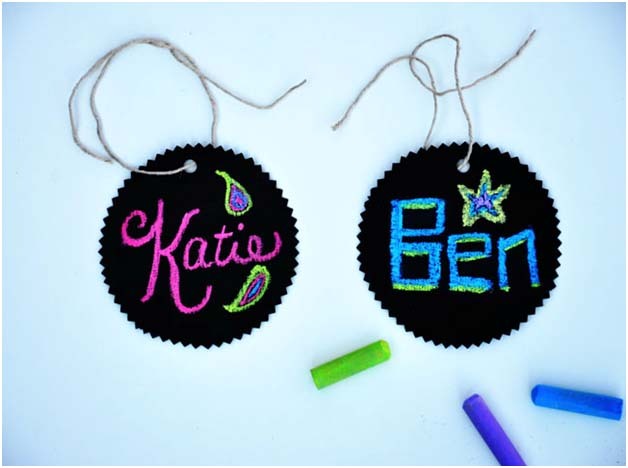 If you mess up, you get to try again, so in decorating these adorable gift tags! Step 6: Thread a piece of twine through the hole and tie the end together to make a loop. Attach to your gift! 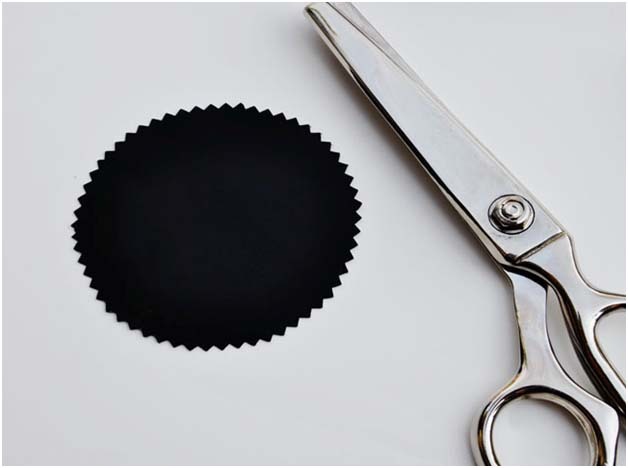 These can also be used a badges or as necklaces. Use your imagination!